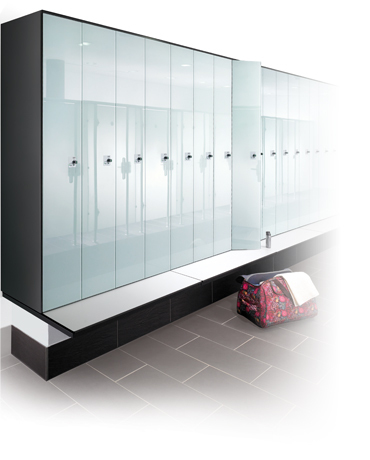 Prefino bag locker with glass fronts, glass cover plate and integrated drinking water fountain. Modern pools are designed to offer worlds of experience, where the visitors can find everything under one roof: A swimmer’s paradise, an oasis of vitality, thermal spa and sauna worlds and a range of shopping and catering facilities. 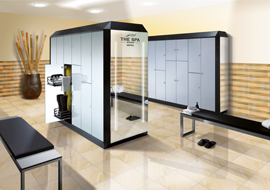 The changing areas need to meet special requirements, which can range from attractive glass doors to electronic online locking systems. Prefino has the right products to meet all requirements. What is the first thing you see after checking in? The changing rooms. Appealing and versatile fittings can be a superb advertisement for the facilities. Prefino makes a definite statement with a wide range of options: Flexible configurations, special motifs to individualise the design, interesting light moods created by the room lighting integrated into the locker roof – and much, much more. 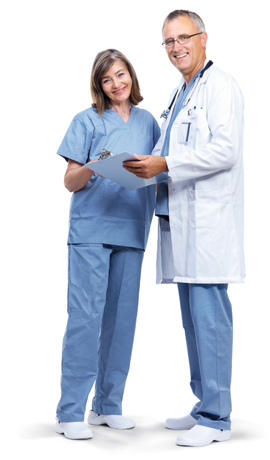 Hygiene, cleanliness and safety are important factors in medicine and healthcare. 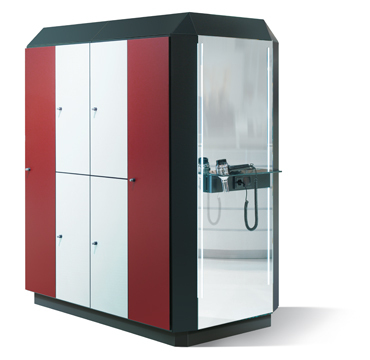 Prefino is easy to clean and decontaminate, and provides specific solutions for all areas – staff or operating changing areas, or security compartments for the patients – together with a wide range of matching add-on furniture. The storage box allows you to take advantage of redundant space in the locker. Mirror blanking panels with illumination and trays to ensure the best possible utilisation of the front side. 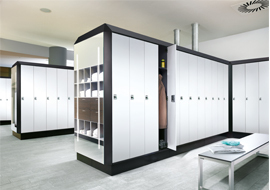 Prefino locker systems do not just blend perfectly into the overall architecture, they can even play a role in shaping the same, thus creating an incomparable impression. One example of this is the locker roof with integrated room lighting, which can be individually controlled. C+P offers practical solutions for creative room planning – from easy-to-use planning tools right up to animated 3-D visualisation. You will be amazed at just how much you can do with Prefino!! 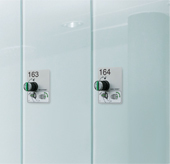 The widest range of sub-frames is used in locker systems, depending on the building concept. 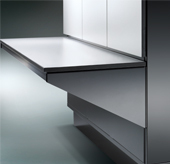 Prefino is flexible – and therefore ideally suited, no matter what the requirements are. In addition to the classic feet or bases, integrated bench solutions are becoming increasingly popular. 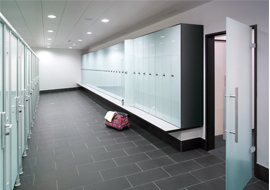 Benches are available to surround the lockers on an on-site base, for installation in front of lockers with shortened doors, or with storage boxes incorporated beneath them. Prefino is the best choice to achieve the ideal result. 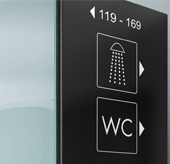 Colour matching inscriptions and pictograms are available to ensure optimal room orientation and numbering. 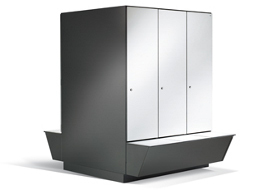 The seat also acts as a locking flap, which can only be opened by the person using the locker. The storage box provides convenient storage and easy access to bags, helmets, and much, much more.